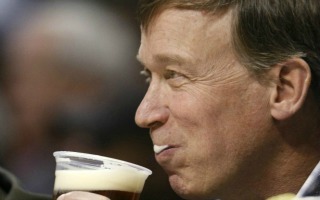 “Despite what you might have heard, I much prefer drinking beer to frack fluid. For the uninitiated, “frack fluid” is the liquid product oil and gas developers use in deep underground drilling operations. It is mostly water, but includes other ingredients and chemicals that are designed to open up oil and gas deposits and be recovered in the drilling process. Knowing what’s in the fluid and making sure the ingredients are known to the public is what prompted us to pass the most rigorous and transparent frack fluid disclosure rule in the country about a year ago. We negotiated that rule with industry and the environmental community (including the Environmental Defense Fund). Our goal has been to encourage industry to use ingredients that are safe for the environment. So when an industry executive came to my office over a year ago touting the safety of their product – a new form of frack fluid based on food additives – we put him to the test by asking whether it was safe to drink. He said yes. So I challenged him to take a sip. He did, and so did I.
I can’t say it tasted good, but it was, as advertised, a completely safe product for human consumption. (This is not to imply that anyone would drink the frack fluid being used today). As we move forward in developing energy, we ought to insist on the strictest and most effective environmental safeguards. Although tasting frack fluid might seem newsworthy to some, it was not really the point of testimony we recently gave to the U.S. Senate Committee on Energy and Natural Resources in Washington, D.C. We were drawing attention to the fact that Colorado has created the most comprehensive and stringent set of regulations around oil and gas production in the country.